A new documentary recalls one of the most brutal clashes between princes Charles and Edward, with no confirmation of the allegations from Kensington Palace following so far. The youngest of Queen Elizabeth's sons has been slammed by the future king of the United Kingdom for reportedly prying into the personal life of Prince William during his student years. According to a new documentary, "The Royals at War," the feud between the brothers took place back in 2001 when Prince William attended the University of St. Andrews. "When Prince William was at university, and a very strict issue from the Palace to the media had gone out, there was going to be a protocol when Prince William arrived after that, the press were to leave the Prince alone," Royal author Katie Nicholl said. Despite the Kensington Palace's warning against any media presence at the campus, a film crew were seen there, who claimed they worked for Prince Edward. "They said 'we work for Prince Edward, so you know, we have got permission to be here. She said 'you certainly have not', and it all grew to a big row," Ms. Nicholl said. The author added that Prince Charles then called Edward, "in no uncertain terms, telling him he was an idiot and perhaps a choice few words other than that… The message was quite clear: 'You have behaved inappropriately. Leave St Andrews immediately.'" The documentary also pointed out that the animosity and rivalry between the two brothers was prompted by their mother's favouritism toward Prince Edward. A more recent feud between royal brothers in the UK has been reported by the media, following speculation of a rift between Prince William and Prince Harry. Allegations surfaced it was caused by their spouses. 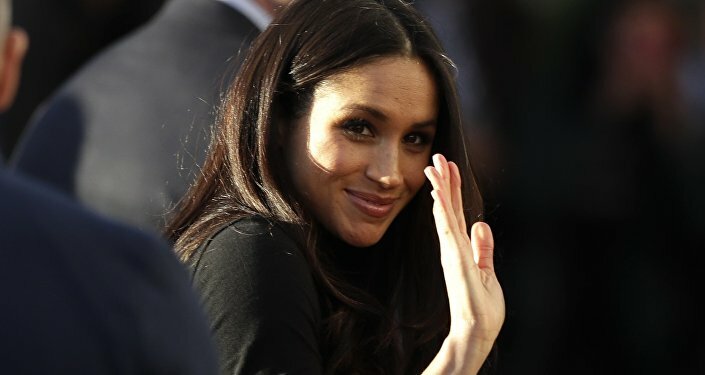 It has been suggested Meghan Markle left Kate Middleton in tears over her demanding nature during a dress fitting for Middleton's daughter, Princess Charlotte. Britain's Prince Harry, left, and best man Prince William arrive for the wedding ceremony at St. George's Chapel in Windsor Castle in Windsor, near London, England, Saturday, May 19, 2018. Another factor adding to the alienation between the two royal couples was reportedly the decision by Prince Harry and his wife to move out of Kensington Palace, where they have been living alongside Prince William's family since they became engaged in 2017.